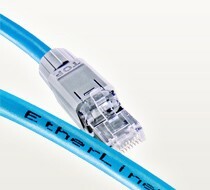 Ethernet technology-based networks are playing an increasingly important role. We therefore offer reliable system solutions for network technology. The range includes products, software solutions and services for total security and availability. • Distribution components such as switches, routers, cables, connectors and accessories for total network security and availability. • Security systems via firewall solutions. • Services such as consulting, network design and planning, analysis and support. • Industry and building networks. • Stage engineering and event technology.